Millie has recently been handed over into our care, along with her daughter Layla. Millie is quite a small cat and a little quieter than her daughter. Both cats are very gentle, easy to handle, very affectionate and love being petted.They are used to a dog around the house, used to children and tolerant of other cats. They enjoy going outdoors, but equally enjoy the comforts of a cosy house, sharing their company with you. They came to us due to their owner’s health problems. They are both really lovely cats and will make beautiful pets. 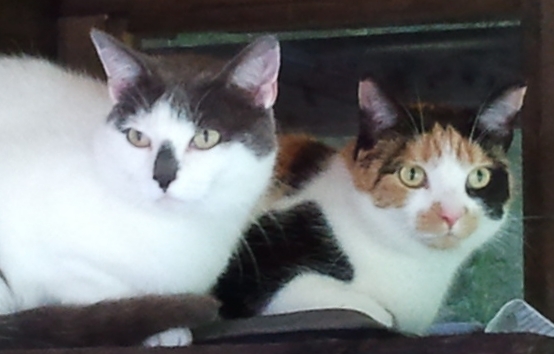 We would like to rehome them together. This entry was posted in Cats looking for loving permanent homes. Bookmark the permalink.